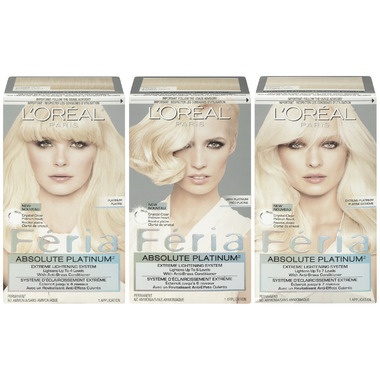 Get crystal clear platinum results with L'Oreal Feria Absolute Platinum. This is L'Oreal's most extreme lightening system and provides absolute platinum results for weeks. Worked just fine, like any other bleach product I used before. I expected a lighter result for the money you pay and the label's promises, but I didn't see any difference from the cheap ones I used before.